This quarter we're taking a look at fraudulent distributions and breaking down what to expect from Washington in the coming months. (Crystal ball not included.) 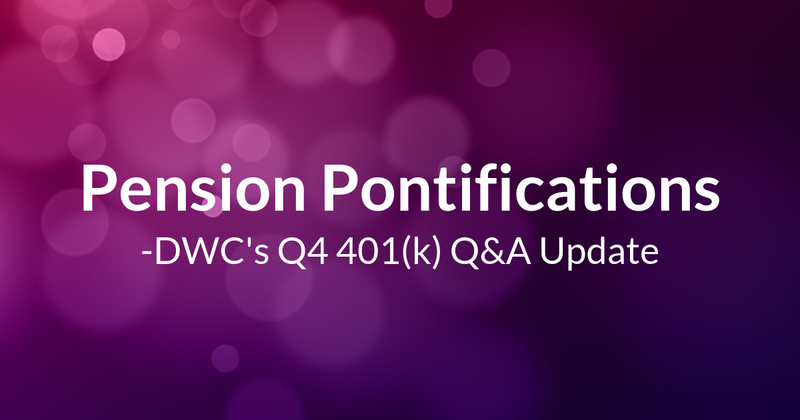 - As originally published in our Q4 401(k) Q&A Update newsletter.